FFB provides training and education in agriculture and marketing to overcome subsistence living. 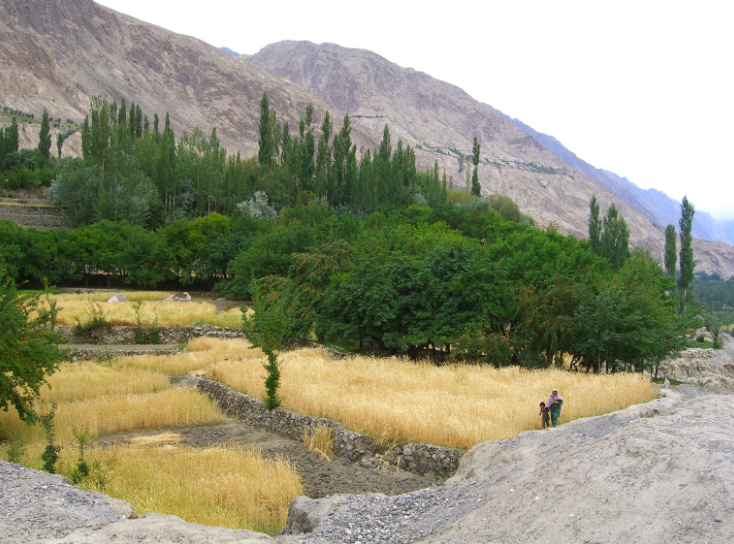 The Hushe Valley residents live principally on subsistence agriculture. Almost all families own land and work it to obtain their livelihood, chiefly producing cereals, mainly wheat, buckwheat, some forage such as alfalfa, and growing some vegetables during the summer. They also have fruit trees, especially apricots and apple trees. Some families have small quantities of livestock and poultry, but these are not enough to ensure their nutritional needs. Thus, in the summer season, some men find sporadic jobs, for example as mountain porters or in construction and services, to provide some extra source of income. The problems seen in traditional agricultural production are the low productivity of the land, the amount and fragmentation of land ownership and access to irrigation. Women are the primary workers in the field where virtually all the work is manual. At the same time they also have responsibility for the housework and childcare. 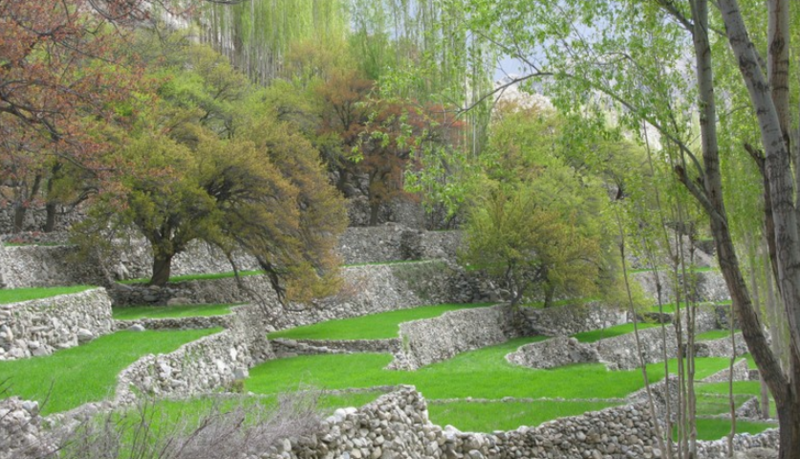 The Felix Baltistan Foundation Agricultural Project, operating in the area since 2004, is oriented towards improving the living conditions in the villages of the Hushe Valley by developing sustainable agricultural production, providing training in new agricultural techniques and technical assistance. Notably, the project aims to maintain the food supply and economy of each household and is based on encouraging community work and personal initiative, through improved technical, educational and cultural factors. These are seen as vital to the development and improvement in the quality of life of the population. Mechanisation: Introduction of light machinery for field work, small harvesters for grain and forage, cultivators (with different applications) and grain cleaners. Horticultural Production: Introduction of farming systems for the improvement of horticulture: Experimentation and development of crops in greenhouses and outdoor rotations, through a variety of horticultural crops. Fruit production: systems to improve fruit crop production through experimental planting of several species of fruit trees, to pruning and training systems to enhance effective performance. Marketing horticulture/fruit production: facilities to clean and dry the apricots and a pressing machine for the production of oil. The farming sector is vital but arduous for the people of Machulo. 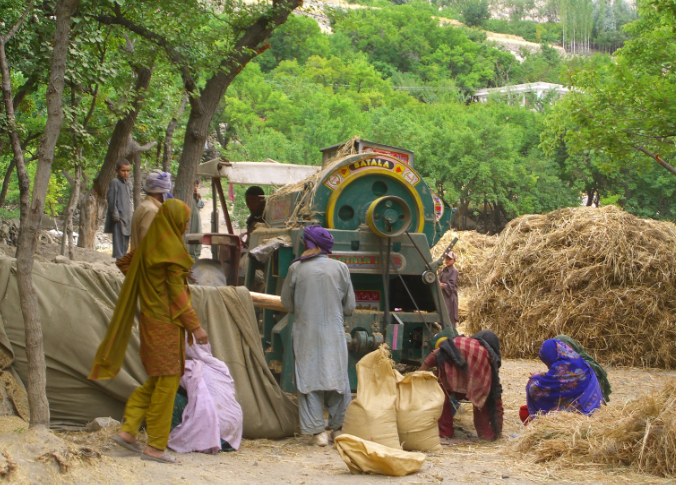 The FFB provides training to the villagers in the use of machines to reduce their work, particularly that of the women. During the harvest, wheat is brought from the fields and stacked along the roadsides to dry. When it's ready, a threshing machine, usually owned by one of the more wealthy families in the area, is brought in to extract the grain. The grain is stored in cellars below each house. Enough grain has to be harvested to keep the family fed through the winter. Renting the threshing machine is an expensive business and several generations of the same family will often be seen working late into the night to complete the task. The area is almost never green - the people of this area can obtain vegetables only in the summer season. Lack of fresh vegetables leads to more disease. 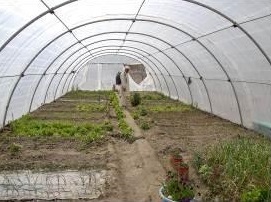 To provide more vegetables for the population, the FFB has introduced the concept of green houses. We established two of them, one in Machulo and another in Saling. Two farmers were instructed in their use and how to propagate seeds and they have gone on to give training to more of the local people enabling them to build their own greenhouses. This project has been successful many people have now built their own domestic greenhouses giving their families access to fresh vegetables throughout much of the year.